What a way to start off the new year! Home » Blog » What a way to start off the new year! 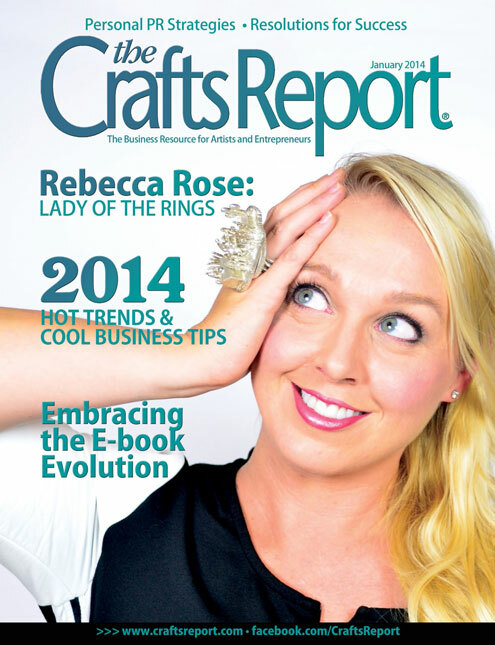 I am featured in the January 2014 issue of The Crafts Report magazine in the article “Trends: Glimpses of 2014” with my insight on the Pantone Fashion Forecast colors. For those keeping count, that brings my grand total of times being featured in The Crafts Report magazine to three issues in just four months! Pretty cool!